Modern men are all about good looks and being stylish. They take special care of grooming and do not mind spending a few extra bucks if they get quality in return. Shaving forms an important part of grooming. A well shaved man looks presentable and automatically gives a very good first impression. Indian men take extra care while shaving. Hence the market is full of unique shaving products and razors for smooth and gliding shave. They are reliable and avoid cuts and inflammations. Here are a few of the top 5 best shaving razors available for men in the Indian market. Gillette Shaving Razor is one of the most famous men’s razors for men India. Most ideal for sensitive skin, this tool features advanced technology that reduce friction and increase razor glide across your face for a smooth shaving experience. It has a flexible comfort guard for tricky spots like under your nose, around facial hair and sideburns. 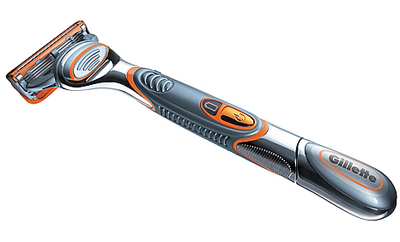 This state-of-the-art razor reduces pressure and adds charm to your look. 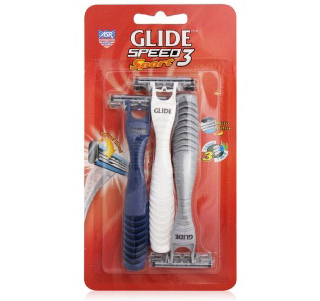 Glide Razor incorporates a sophisticated shaving technology to help you enjoy a comfortable shave. The razor glides gently across the face for smooth and comfortable facial hair removal. The sophisticated shaving technology in the razor has good sharpness and durability. The steel used is stainless and is disposable. It has a double edge safety blade that requires minimal inspection while shaving. Plus it is 100 % inspected. 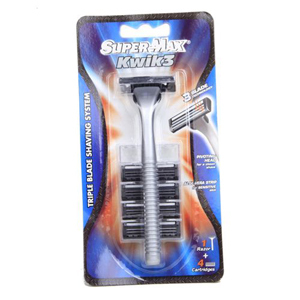 Super-Max is one of the leading razor blade companies in India. The cutting edge innovation and technology employed offers a wide bouquet of plethora solutions. This brand also happens to be the second largest manufacturer of razor blades in the global platform. It gives a comfortable and smooth shave every time. Few of the blade varieties include double edge blades, single and twin blade disposable razors, triple blade disposable razors and four blade disposable razors. 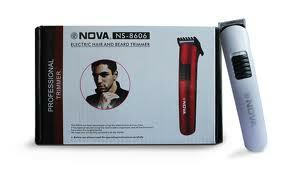 Nova Rechargeable Hair Trimmer is a cordless micro-processor regulated adjustable razor for men hitting the Indian market with huge profit. This professional hair clipper is cordless and quite easy to use. The high cutting performance is complimented by the charging battery present. It gives a conscious and precise cutting and is quite convenient to carry it around while travelling. The blade has special sharp endurance quality. 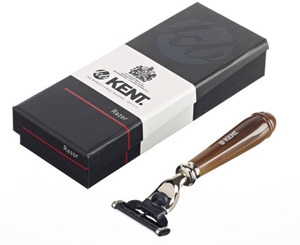 Kent H Super Premium Horn Colored Razor is another most reliable razor market for men in India. Known for its classy and timeless design, Kent H gives the most comfortable shave every time to opt for one. The sophisticated shaving technology is complimented with sharp blades and awesome durability. The razor takes special care of sensitive areas like under your nose, around facial hair and sideburns. While still on this topic, also go through our collection of Best Shaving Cream for Men you will never get disappointed with.